Sugar cookies have really been growing on me. As a kid, I’d pass over frosted sugar cookies in favor of molasses cookies, chocolate chip cookies, or almost any other kind of cookie. It wasn’t that I didn’t like sugar cookies. It was just that so often they were dry and tasteless. 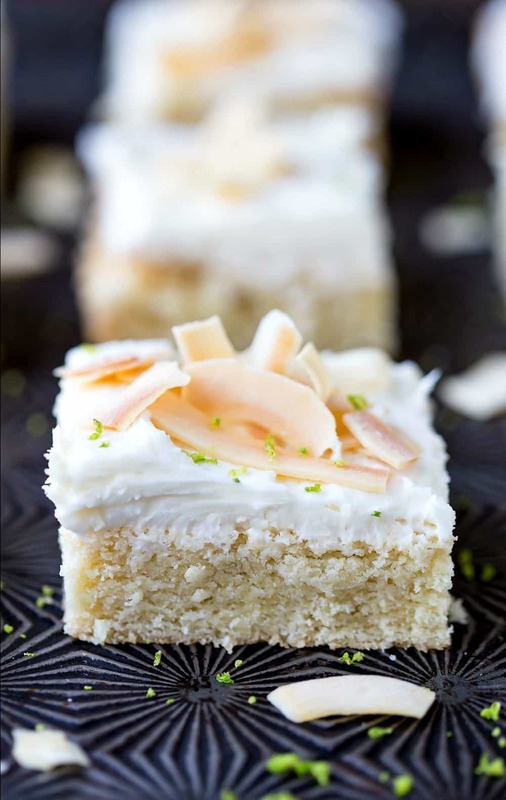 These Coconut Lime Sugar Cookie Bars are neither of those things. The cookies are tender with sweet, buttery flavor. 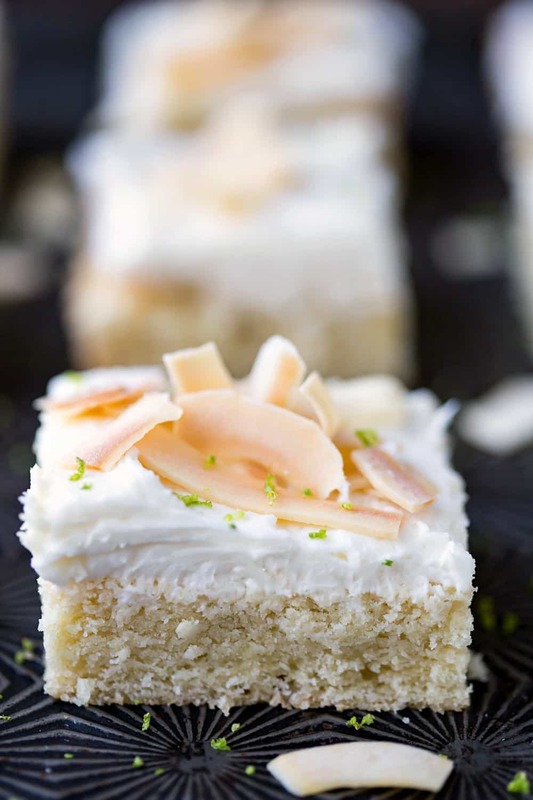 The frosting is a creamy buttercream with hints of lime and coconut. They make a welcome, refreshing addition to any cookie tray and are sure to be a hit! Preheat oven to 350 F. Line a 9x13-inch baking dish with foil, leaving an overhang at both ends. Grease foil with nonstick cooking spray. Set aside. 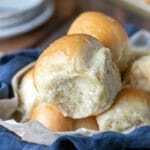 In a medium bowl, whisk together flour, cornstarch, baking powder, salt, and baking soda. Set aside. In a large bowl, beat butter on high for 30 seconds. Scrape down bowl, and beat in sugar until well-combined. Add egg, and beat until combined. 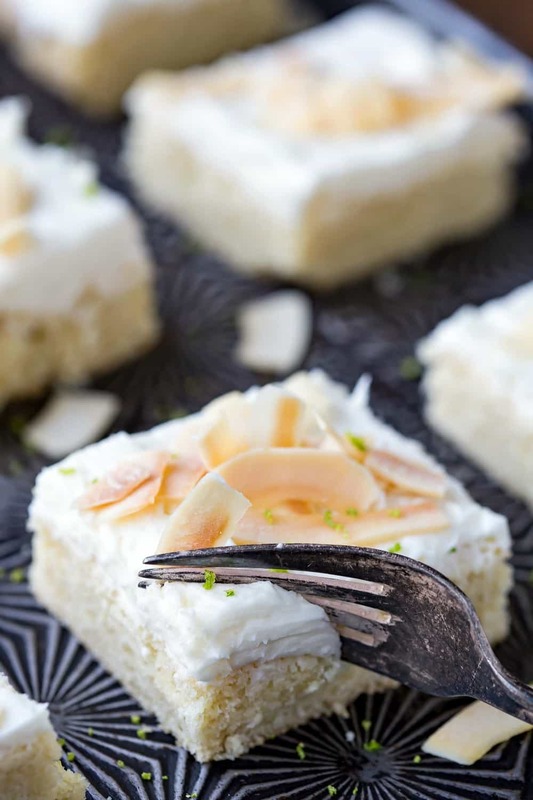 Stir in sour cream, vanilla extract, and almond extract. Spread dough into prepared baking pan. Bake 20-25 minutes, or until light golden brown at the edges. 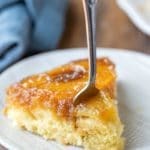 Remove from oven, and let bars cool in pan to room temperature. 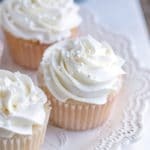 To make the frosting, beat butter on high for 30 seconds in a large bowl. Mix in remaining ingredients, and stir together until well-combined. 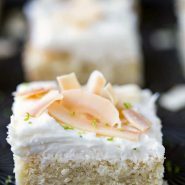 Top with toasted coconut chips and additional lime zest, if desired. Cover, and store frosted bars in the fridge.